This year, it’s Deer Creek West! We’re getting the trail fully onto Public Lands and the chance to make a sweet new exit if heading north on Deer Creek, and a more sustainable climb if heading South. Saturday, June 2nd, 10:00 am start. Meet at the start of the Deer Creek singetrack on the Gothic side for sign-in, tools, and direction for trail work needed. See the poster attached for more details! 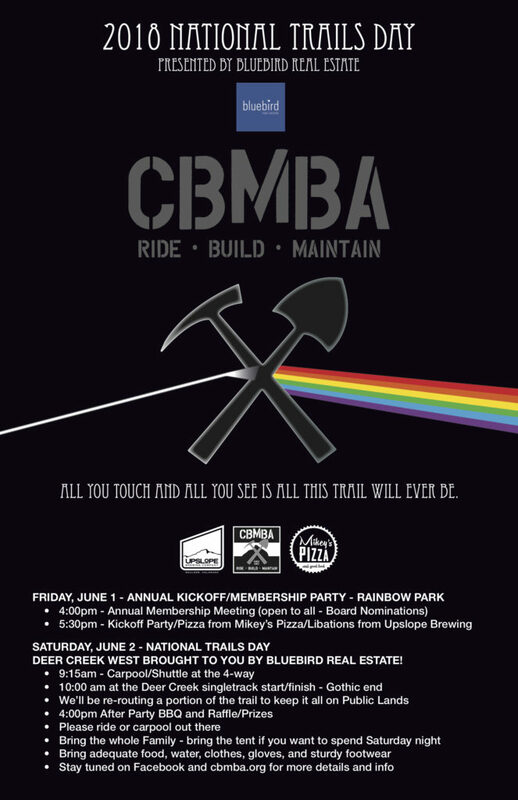 And join us the night before for the Annual Kickoff and Membership Party at Rainbow Park, Town of CB, 5:30.